187 DVD Review Dramas don't get any better than this and the ending is one of the best twists that I've seen in a long-time! 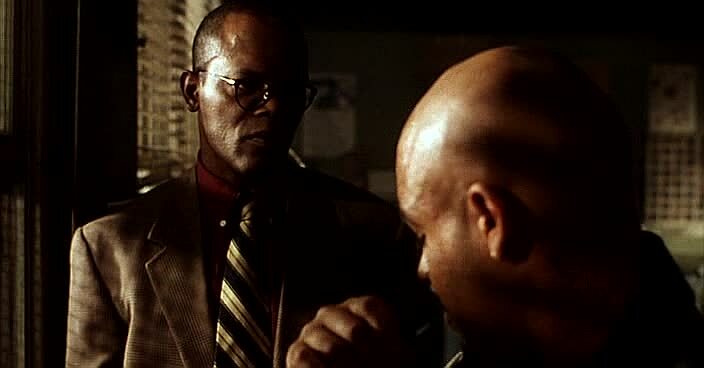 After surviving a brutal attack in a high school, teacher Trevor Garfield (Samuel L. Jackson) finally returns to teaching, fifteen months later. In an attempt to start again, Garfield moves to Los Angeles where he begins his teaching career as a substitute teacher. Ironically, Garfield saw all the signs to his attempted murder fifteen months ago with the number 187 violently scribbled into a students text book who is expelled. 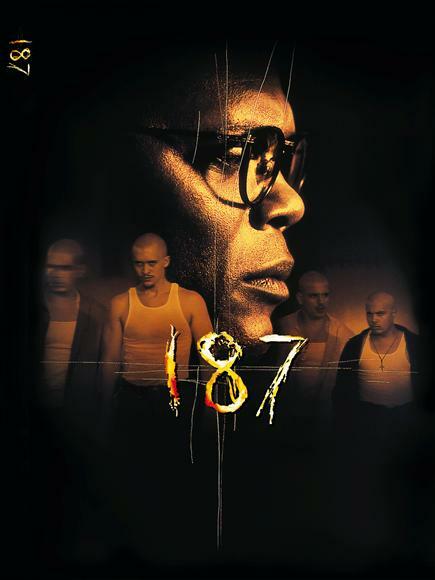 The number 187 is used by the police to indicate a homicide. However in this new school, Garfield once again faces the dangers of the previous school but this time he decides to take matters into his own hand. When a student ends up dead three months later, a group of troubled students believe that Garfield is involved, however there is no proof pointing to this substitute teacher. This is the clever twist of 187 as director Roger Michell carefully lays clues throughout the movie and whether they are real or false, it is up to the viewer to decipher. Joining Jackson in this film is Kelly Rowan as Ellen Henry, a teacher who finds the survival of Garfield comforting and John Heard as Dave Childress, a corrupt and violent teacher who also sexually abused one of Garfield's students, Rita Martinez. Garfield also finds solace in Rita, hoping that he can point her in the direction of redemption and a break the vicious circle that many of these students are caught in. Education is the key. 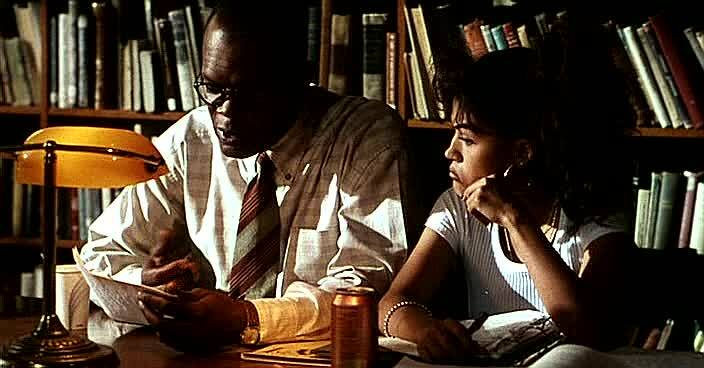 For a movie that is 16-years old, 187 is still a very well written and powerful film about the problems faced by socioeconomically challenged schools in the United States. Jackson plays Garfield perfectly and director Michell creates enough twists and turns to truly keep you guessing in this powerful drama which was actually written by a teach. Dramas don't get any better than this and the ending is one of the best twists that I've seen in a long-time!